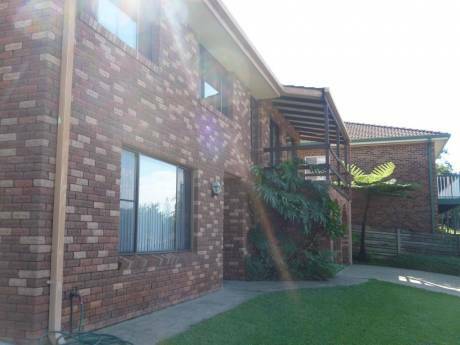 Spacious family home, octagonal design with two living areas, 3 bedrooms available, ensuite to main. Separate toilet and pool table in rumpus room. Covered outdoor entertaining area with pleasant leafy outlook. Separate Garage. Our home is set on a very large block surrounded by lawns. We are a mature couple with a 11 year old son, non-smokers and members of Rotary International. Ingrid is a Real Estate Agent and George is a semi-retired carpenter. We will be holidaying in the U.K from late August to early October this year and would like to swap house anywhere in the centre of England. Located just 3 kilometres from the city centre and short drive to beaches, rainforest and rivers. 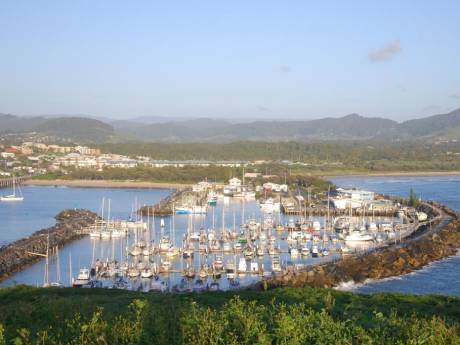 Coffs Harbour is a popular holiday destination and is situated half way between Brisbane and Sydney, and has it own airport with regular flights to all major cities.